Perhaps you have not heard of Saint Urho. Tomorrow, March 16, will be St. Urho’s Day, and Finns like me will gather to celebrate. This special day falls one day before that of the more widely-known St. Patrick’s Day. The date is fitting because St. Urho and St. Patrick have something in common. St. Patrick, as you probably know, is famous for driving the snakes from Ireland. St. Urho accomplished a similar feat. He drove the grasshoppers from Finland, saving the grape crop and the jobs of Finnish vineyard workers. He used the famous phrase Heinäsirkka, heinäsirkka, mene täältä hiiteen (meaning “Grasshopper, Grasshopper, go to Hell!”). Now, if this story sounds suspicious to you, perhaps it is because St. Urho is a made-up character. His feast day began in the 1950’s in the upper Midwest of the United States. Finns there wanted a reason to begin drinking green beer a day before the Irish. From there the hilarity spread, and nowadays Finns everywhere, even in Finland, celebrate St. Urho’s day. They mark the occasion by wearing the colors of grasshoppers and wine, namely Nile green and royal purple. If you want to get a head start on your St. Patrick’s Day festivities, go ahead and join all the Finns in raising a glass to St. Urho. I will be joining some Finnish friends to do the same. At last we reach the end of my series on the stories of my ancestors. Over a year ago, I took up the challenge of writing about 52 Ancestors in 52 Weeks. I began with my parents and worked backwards. At the end of last year, I had written about 52 ancestors, but it seemed a shame to stop part way through a generation. I elected to continue to relate what I know of each of my third great-grandparents. The final couple on this list is Henric Henricson Miettinen (ca. 1804-1836) and Anna Andersdöttir Toivain (1802-a. 1858). Henric was born at Halivaara in the Karelian region of Finland about 1804. He lived there all his life and worked as a farmer. Like so many Finnish men of the time period, Henric had a short life. When he was thirty-two years old, he contracted a fever. He died on October 22, 1836 when my great-great grandmother Anna was just four years old. Henric was buried in Juuka parish. His wife survived him by a number of years. She lived until at least 1858. The previous year, she had attended the local kinkeri, or religious meeting, in Juuka parish where confirmed Lutherans were required to demonstrate their knowledge and understanding of the Lutheran faith. In 1858, her name appears on the communion register, but no record of her has been found after that. During the 19th century, my Myllynen ancestors lived near what was then Finland’s second-largest city, Viipuri. This municipality lies east of the Baltic Sea on the Karelian isthmus at a distance of 81 miles northwest of St. Petersburg. It is known for its landmark Vyborg Castle, built by the Swedes in 1293. When the Viipuri parish was ceded to the Soviet Union after World War II, all the Finns left and resettled in other parts of modern Finland. Today the town of my ancestors is known as Vyborg and only Russians live there. Simon Mattson Myllynen was born at Tervajärvi on July 8, 1810 to Matti Johansson Myllynen and Anna Simonsdottir. 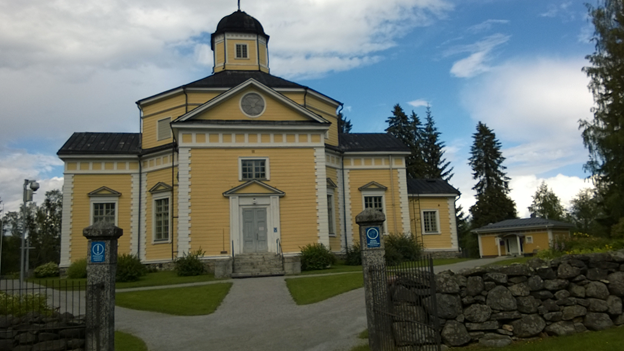 They had him baptized a couple of days later in the Viipuri rural parish. When Simon grew up, he married a local girl, Sofia Hendriksdottir Ampuja. Their marriage took place in the Viipuri rural parish on December 11, 1831 when he was 21 and she was about nineteen. 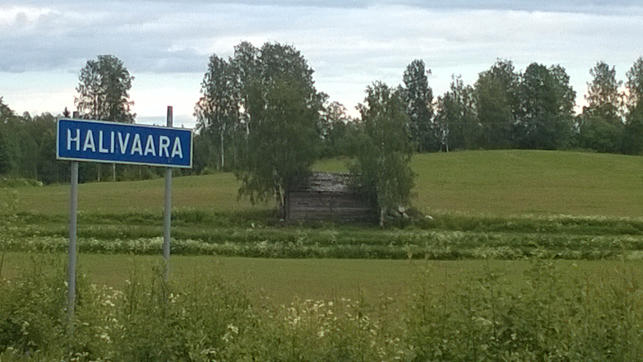 They made their home and raised their children at Tervajärvi. Simon worked as a farmer. He did not have along life, and he passed away at Tervajärvi on April 10, 1857 at the age of forty-six. He was buried at the Viipuri rural parish a week later on April 17, 1857. This week my Finnish line of third great-grandparents begins its turn to have their stories told. These last posts in this series will have to be brief because I know very little about these people. Abel Andersson Mattila (1798-1852) was born about 1798 during the time when Finland was under Swedish rule. The Swedish language predominated in the country during that time, but we do not know whether Abel was bilingual. His family probably spoke Finnish, although the country kept legal records in Swedish. Abel must have had exposure to Swedish because the southern part of Finland where he lived was heavily populated with Swedes during his early years. While Abel was still a boy, the country changed hands after several hundred years of affiliation with Sweden. Finland became a Grand Duchy of the Russian Empire in 1809 when the army of Czar Alexander I took the country in the Finnish War. The Russians were more accepting of the Finnish language than the Swedes had been, but Finnish did not achieve equal legal status until 1892, long after Abel’s death. After Abel reached adulthood, he married Greta Caspersdatter, a woman of his own age who was also born about 1798. The couple settled at Kimböle, in the Uusimaa Province of southern Finland. Abel made a living as a “bonde”, or farmer. Abel died of a heart attack on April 22, 1852 at Kimböle when he was about fifty-four years old. Heart disease was rampant in Finland in the nineteenth century, and even today many of my Finnish relatives die from it. Abel was buried May 9, 1852 in the Lapinjärvi parish of Uusimaa. The Lampinen family lived in the area of the present-day Koli National Park in eastern Finland. The park lies west of Lake Pielinen, the fourth-largest in Finland, in the sub-region known as Karelia. Here the gorgeous forest landscape near the lake includes rock outcroppings intermingled with lush groves of spruce, birch, and other trees. The undergrowth is rich in mushrooms and berries. Wolverine, lynx, bear, and beaver abound. People have lived in the Koli area since before Christianity. It had been a center of pre-Christian religion. The highest point above the lake is still known as the Temple of Silence. The cave formations in the nearby rocks were thought to house wizards and witches. 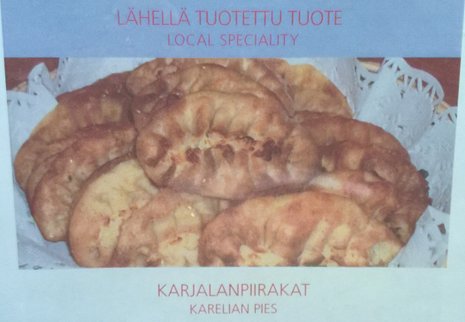 The Karelians consider themselves the true Finns, uncorrupted by Swedish intermarriage and Germanic influence. Unlike many other Finns, they are lively and talkative. Historically, they ate a distinctive diet marked with local fish and game, often made into pasties. 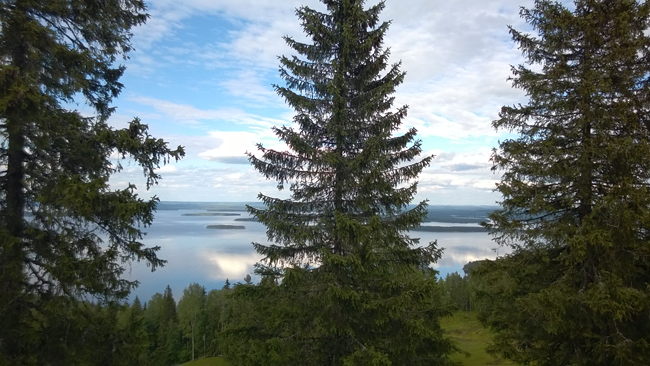 Karelia, especially the Koli area, became a vacation destination for hikers and skiers in the 19th century. Others, including Finland’s great composer Jean Sibelius, came to enjoy the local folklore and the traditional culture. 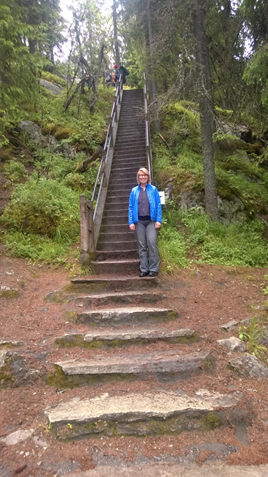 By the time these visitors discovered Koli, the Lampinen family had lived there for a long time. In the 1830’s they ived in the tiny Karelian village of Nunnanlaks on the western shore of Lake Pielinen. There Valborg Johansdotter Ruottin (1808-after 1860) gave birth to her son Matti Lampinen on 27 September 1835. She and her husband Henric Mårtensson Lambin (1806-1837) had him baptized in the Juuka parish on 25 October 1835. At this time, spelling and naming patterns had not become standardized, so we see the family name in the records in several iterations, including Lambin, Lampin, Lambinen, and Lampinen. Karelians were early adopters of surnames because they moved around a lot. Little Matti joined an older brother, Henric, who had been born on 8 August 1832 in the same village. They probably lived in a log house decorated with carvings, but those houses no longer remain. Today Nunnanlaks is known for its soapstone mine. The boys were born into an ancient swidden, or slash-and-burn culture. Crofters like their father lived by cultivating clearings in the forest. They felled and burned broad-leaf trees, especially birch, in 10-to-30-year intervals. This created a patchwork landscape of varied woodland habitat around settlements. In the second year, crofters planted turnips, sowed by spitting the seeds. They stored these and other root crops like carrots and rutabaga in cellars dug in the ground. The third year, they could plant grains such as oats, flax, buckwheat, and rye. They built traditional pole fences to protect these crop fields from livestock. In the fall, they harvested the crops by hand, with a sickle, and then threshed them in a barn. Once the soil became depleted, they began the swidden cycle again in a new location. As young trees began to grow back, they grazed livestock in the sparse, well-lit forest. They often acquired a pig around midsummer to fatten up for Christmas. The little Lampinen family did not stay long at Nunnanlaks. 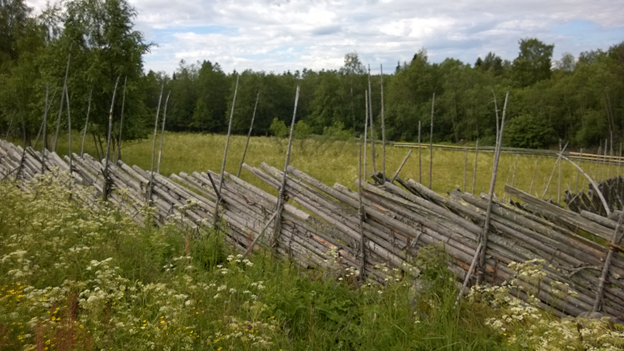 By early 1837, when Matti was just over a year old, they had moved on to an inland village, Kuhnusta. That year, the elder Henric contracted typhoid fever and died on 10 February 1837 at the age of thirty. It is unlikely that Matti would have had any memories of his father. His mother remarried the next year. Valborg Ruottin and Christer Mårtensson Karjalain were wed in Juuka parish on 1 September 1838. Their son Eric, Matti’s half-brother, was born on 29 April 1839 at Nunnanlaks. He was followed by a half-sister named Christina on 24 September 1841. By 1842, this family, too, had located in Kuhnusta. There, tragedy struck again, and on 2 June 1842 Christer Karjalain died at age 31 from a heart attack. Seven-year-old Matti was fatherless for the second time. It seems Valborg waited several years to marry a third time. When Matti and Henric were 14 and 17, their mother and Anders Rompanen married. Again in the Juuka parish, the wedding occurred on 14 April 1850. During the following decade, Valborg and Anders lived sometimes at Kuhnusta and sometimes at Nunnanlaks. Also during the 1850’s Matti courted a young woman from the neighboring village of Halivaara. Anna Miettinen was three years older than Matti. Her parents were Henric Henricson Miettinen (c.1804-1836) of Halivaara and Anna Andersdotter Toivain (1802-after1858) of Kajo. Brita, born 7 August 1835. Like Matti, Anna lost her father at an early age. Henric Miettinen died of a fever at age 32 at Halivaara on 22 October 1836, when Anna was four years old. No more is known of Anna’s mother Anna Toivain. She was still living at age 55 when she attended a kinkeri or catechism meeting in Juuka parish in 1857. Matti Lampinen and Anna Miettinen were married in Juuka parish on 7 December 1856. As his father had, Matti worked as a cottager, or tenant farmer. Ada Alina, born at Nunnanlaks on 25 September 1879. We do not know how long Matti and Anna lived because the available records end in 1880, the year after Ada Alina was born. Presumably, they lived out their lives in Juuka parish and were buried there. During their lifetime, the Koli area began to attract big names in Finnish art. Painters like Eero Järnefelt and composers like Jean Sibelius returned year after year for inspiration. Järnefelt painted the internationally-known An Autumn Scene on Lake Pielisjärvi in 1899, and Sibelius composed his fourth symphony (“Koli”) in 1909 after a trip there. The Koli National Park was eventually founded in 1991. Today, the entire area where Matti and Anna Lampinen lived is a beautiful park enjoyed by all the Finns. Kalevala, draws mostly from Karelian folklore and mythology. Many of the works of the Finnish composer Jean Sibelius took influence from The Kalevala. Ada and Alex Mattila came from Viipuri, Finland, at the southern end of Karelian lands. This historically Lutheran province of Finland, known for its iconic Vyborg Castle, now lies divided between Finland and Russia in the area between the Baltic Sea and the White Sea. Over the centuries, the Swedes and the Russians have exerted a heavy influence over Karelia. Beginning in the 13th century, these two fought bitterly over it, and a treaty in 1323 divided Karelia between them. The city of Viipuri (“Viborg” to the Swedes and “Vyborg” to the Russians) became the capital of the new Swedish province and ultimately the second-largest city in Finland. 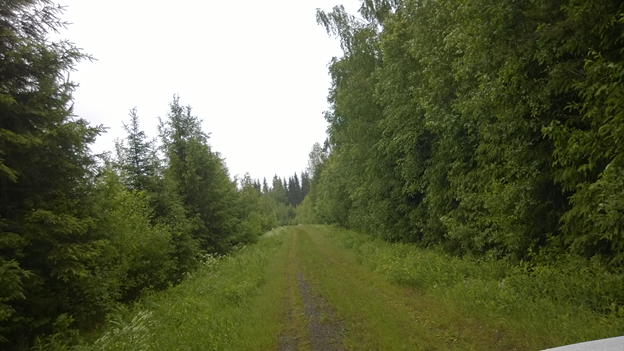 The surrounding area became part of Viipuri parish. The Swedes retained control of Finland, including their part of Karelia, for the next 500 years until the Napoleonic Wars. In the meantime, the Russians maintained the remainder of the ethnic Karelian lands. After Napoleon, the Russians received Finland from the Swedes as part of the war settlement, and a unified Finland became a Duchy of the Russian empire. Thus the Karelians were reunited for the next hundred years under one ruler, the Czar. Into this troubled land and time, Alexander Mattila was born. His parents were Elisabeth (“Liisa”) Myllynen and Antti Abelsson Mattila. The father was listed as “Anders” in the official Swedish-language records of the time. “Antti” and “Anders” are the Finnish and Swedish renderings of the English name, Andrew. The Mattilas lived in the rural village of Alasommes/Alasommee, Viipuri province, Duchy of Finland, and Alex was probably born at home. The actual date remains in question with various records reporting April or May, on the 8th or ninth of the month as his birth date. Some documents give the year as 1878, others say 1879. The Viipuri rural parish record lists his birth date as May 9, 1878 with his baptism following three days later on the twelfth of May. Alex was the youngest of at least nine children, and he was the only boy. The father died when Alex was quite small, and his mother made her living by laying out the dead. The boy Alex often accompanied her. 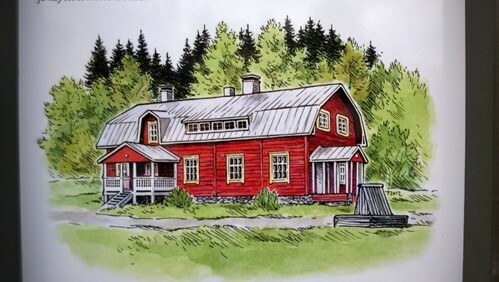 As a young man in 1904, Alex worked and resided at Kolikkoinmaki, Finland. He planned to marry Ada Alina Lampinen, and marriage banns were published in January 1904 at the Lutheran church in Viipuri. Fair-haired Ada was the daughter of Matti Lampinen, a lodger, and Anna Miettinen. Ada was born on September 25, 1879 in the village of Nunnanlahdentie, Kuopio Province, Finland, north of Viipuri. The area now lies in the province of Eastern Finland, created in 1997. On November 16, 1879, Ada was baptized in the Juuka parish. Ada’s children later said they knew nothing of her family. Ada and Alex were married in Viipuri on May 14, 1904, and Ada transferred her church membership to the Viipuri rural parish in July. By 1905 Alex was working as a laborer in Viipuri. Conditions in Finland were hard at that time. Harsh Czarist rule left the Finns with little power over their own affairs. There were periodic famines, and tuberculosis afflicted many people. Perhaps some of these problems led Alex and Ada to devise a plan to immigrate to America. Alex applied for and received a Finnish passport in February 1905. Leaving Ada behind temporarily, he traveled to the port town of Hanko on the south coast of Finland to catch a boat to Liverpool, England. There he boarded the Cunard steamship Ivernia on March 25, 1905 bound for the United States. He arrived in Boston, Massachusetts on April 9, 1905. He reported to the authorities that he planned to join his “uncle” (actually his brother-in-law) Oskar Silberg in Superior, Wisconsin. Many Finns settled in the Great Lakes area where the climate resembled that of Finland, and industries needed workers. Ada followed later, probably after Alex had set up a home for them. She applied for a Finnish passport in June 1905 but no passenger record for her has been found. She had certainly arrived in the U.S. by November 27, 1906 when their first child, Martha Louise, was born in Hibbing, Minnesota. For the next several years, Alex worked to establish himself in the multi-ethnic Hibbing area. At least until 1915, he labored among other Finns and other men from all over Eastern Europe in one of the numerous iron mines of northern Minnesota. Meanwhile, he and Ada struggled to learn English. The U.S. census reports that Alex could speak English by 1910 but Ada and little Martha could not. A new language was easier for men to learn because they went out to work every day and heard it spoken there. When reading the 1920 census, one can almost hear their heavy Finnish accents. Their household is listed under the name Alex Sandermattila. On March 6, 1915 Alex filed a Declaration of Intent to become a citizen of the United States. He was described as five feet, five-and-a-half inches tall, weighing 160 pounds, with a light complexion, medium brown hair, and brown eyes. The same description appears on his World War I draft registration card dated September 10, 1918. He became a citizen of the United States in 1922. During the World War I years, Alex and Ada added more children to their family. These came as a surprise to their daughter Martha, ending her 10 years as an only child. Her sister, Aida Sylvia, arrived on October 2, 1916. Aida lived the longest of the Mattila children, passing away at age 83 on June 18, 2000 after suffering a broken hip. She married twice, first to Walter Jametsky. They held their wedding reception at the Mattila house, and Alex Mattila’s older sister Anna Mattila Anderson attended. She was a staunch member of the Finnish Temperance Society, and when she found out that Alex was serving liquor to the guests upstairs, she got mad and went home. Aida and Walter had one daughter, Judith Ann, and soon divorced. After the divorce, Aida and Judy lived with the Mattilas while Aida worked as a hotel elevator operator. Aida later married John Kerzie on May 23, 1953. They lived in Chisholm, Minnesota in the house where John was born. John worked in the mines and was active in labor union affairs. Aida kept house, putting her college training in home economics to good use. 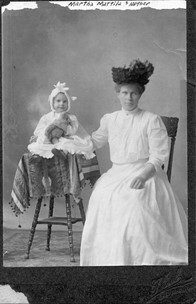 A brother for Martha and Aida entered the household on June 5, 1918 with the birth of Hugo Alexander Mattila. Hugo had a wild streak and got into a bit of trouble as he grew. Once he went on a “bum” to California, hitching a ride on a train with a pal. The friend fell off and was killed. Another time, Hugo joined the cavalry, did not like it, and needed his mother to pay for his release. Along the way, he also worked as a ski jump instructor and boxed in Golden Gloves. Contrary to the advice of his temperance-minded aunt Anna, he enjoyed visiting local taverns. When he had too much to drink there, his policeman brother-in-law Bjarne Bentsen would take him home in the police paddy wagon. Hugo eventually joined the Army Air Corps. During World War II, he served as a bombardier in Europe and achieved the rank of Lieutenant. While in the service, he married Ann Dorchock. During their marriage, Hugo went to college on the GI Bill and earned a degree in Civil Engineering. Meanwhile, he and Ann had three children: Robert Ray, Beverly, and Karen Marie. Sadly, little Karen passed away at the age of 6 in 1952 due to spinal meningitis. Sometime after that, Hugo and Ann divorced, and Hugo remarried right away. He and Donna lived in Gainsville, Florida and had 6 children together: Kathleen, Virgina, James, Karen, Kelly, and Brian. Hugo suffered a stroke later in life and was confined to a wheelchair. He died from the effects of a fire in his home on December 5, 1987 at the age of 69. The last child and second son of Ada and Alex Mattila, Peter Bernhard, was born on November 19, 1919. Pete was not yet a teenager when Martha’s children Joyce and Ron were born, and he played with them as he grew up. He took them skiing (on barrel staves) and golfing (with homemade clubs while he worked at the local golf course). Pete and Hugo would get wind-up toys for Ron for Christmas and then invite him over to play with them before Christmas. Later, both of the Mattila sons joined the Civilian Conservation Corps (CCC) and lived in the camps. Eventually, like his brother, Pete joined the Army Air Corps. He made it his career. His nephew Ron joined the Air Force, too, and during the Korean War they served near each other in Japan. According to Ron, Pete liked to get in bar fights when he was off duty. A few years later, on June 1, 1959, Pete died unexpectedly from a heart attack at age 39 while serving at Eglin Air Force base in Florida. The family later speculated that because Pete had never shown any signs of heart trouble, the Air Force was concealing his true cause of death. By 1920, with his family of two daughters and two sons complete after 15 years in America, Alex Mattila had found some financial success. He owned a home without a mortgage on 2nd Avenue in Hibbing. He and his family lived on the ground floor, and they rented upstairs rooms out to two other families. Finland is known for its carpentry industry, and somewhere along the way Alex learned this craft. By 1920 he had left the mines and was working as a carpenter. He continued in this occupation for the rest of his life, working at various times for the Messba Construction Company and the Ryan and Stavn Lumber Company where he worked at the time of his death. Years after he died, people in Hibbing would remember him walking down the street, carrying his carpenter’s toolbox. He built houses, but in his spare time, he enjoyed fashioning little hand-carved toys for his children and grandchildren. He also built a lovely dollhouse for his granddaughter, Sharon Bentsen. As their finances improved, the Mattilas moved to a home Alex built on Thirteenth Avenue in Hibbing. They also purchased some farmland near the Hibbing airport. They hoped it would be valuable someday. Until they felt ready to sell it, they used the land to grow vegetables and other food. Ada often took the children and grandchildren out there to pick berries and mushrooms. Alex sent his daughters to college in the 1920’s and 1930’s although only Martha actually graduated. She earned a 2-year degree allowing her to teach elementary school, and she promptly left Minnesota for adventure in Montana. There she taught at the Two Tree country school near Redstone and lived with the Ole Bentsens, a nearby farm family. Their younger children, Jennie and Otto, attended the school. Martha married their older son, Bjarne, at the end of the school year on June 2, 1928. Martha and Bjarne stayed in Montana long enough for their eldest child, Joyce Beverly, to be born on April 8, 1929 in Plentywood. After that, they relocated to Minnesota where they lived next door to the Mattilas, in another house that Alex had built. 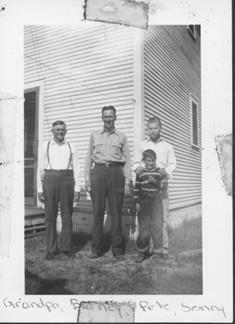 Not long after the move, Martha and Bjarne had a son, Ronald Duane, on January 14, 1931. Bjarne worked as an electrician in the mines for a while and then joined the Hibbing police force. The Mattila’s seemed to enjoy having grandchildren next door. Ada always had a cake ready for snacking while they relaxed in the covered porch. She regularly offered them her homemade bread, which she would let rise on the stovetop before baking it in the coal stove. Alex liked to tease her that the big stove served double duty as her dressmaker’s model. Alex and Ada also spent time teaching the ways of the old country to the children. Joyce used to accompany her grandmother to the local Finnish sauna and her grandfather on trips downtown. Ron helped his grandfather make dandelion wine. Both kids were amazed that neither grandparent celebrated birthdays, nor did their grandfather attend church. They did their own doctoring, including lancing boils and pulling bad teeth with the pliers. They continued to speak Finnish at home, and Martha spoke with Ada in that language when she did not want the children to eavesdrop. Later, when Aida and Judy lived in the Mattila house during the 1940’s, Judy learned very little English before she started school. The teacher had to contact Aida to request that she work on English skills with the little girl. Ada and Martha did not get along particularly well, and others sometimes had to settle their differences. Since they lived next door to one another, they shared a clothesline in the back yard. Ada valued tidiness, and she always collected her clothespins from the line when she took in her laundry. Martha preferred convenience and left her clothespins on the line until next time. Unfortunately, by then Ada had usually collected all of Martha’s clothespins and taken them inside. The battle of the clothespins escalated until Bjarne finally stepped in. He painted all of Martha’s clothespins red so there would be no confusion as to their ownership. Aside from these typical family squabbles, life went along more or less as usual through the World War II years. The family avidly read letters from Hugo and Pete in the war zone, and the parents must have worried about them. We can wonder how they felt when their Viipuri homeland was ceded to the Soviet Union in 1944. Most of the Finns living anywhere near Viipuri walked out of the area and resettled in other parts of Finland. Russians moved in to fill the void, and very few Finns live in Vyborg and its environs today. In early April, 1945, Alex returned home from a trip downtown and reported in his accented English, “Roosevelt, he die.” No one believed him. Yet, it was true. Four-term President Franklin Roosevelt had passed away just as Alex had heard in town. A day or two later, on a Saturday evening, Ada handed Alex his usual silver quarter to spend during an evening out. He always walked into town to gather with friends at a local tavern on Saturday nights. Several hours later, the police came to the Mattila door. The family learned that while Alex walked home along the railroad tracks that night, he had been struck and killed by a train. Someone needed to go down to identify the body. The task fell to his son-in-law, Martha’s husband Bjarne. No one was more stunned than Ada. She said, “I no live long now.” Yet she did live another three years. After her husband’s death, she finally joined the local Lutheran church, something Alex had never wanted to do. She also remained active in the Finnish Temperance Society and the Order of Runeberg, a Finnish cultural group. One spring day three years later, on May 12, 1948 she went down the street to fetch her young granddaughter, Judy, who was out playing. While they walked back home together, Ada collapsed and died of a cerebral hemorrhage at the age of 68. She was buried next to Alex in the Maple Hill Cemetery in Hibbing. Later, their son Peter was buried near them. When she died, her estate was distributed according to a plan Alex had devised during the 1930’s. Aida received the house and its contents, Hugo received the money, and Peter received the farm. Martha, deemed “sufficiently provided for” by having already received an education and other forms of Alex’s goods , was disinherited. That Alex and Ada had so much material wealth to leave behind is a tribute to their spirit. They had the courage and initiative to leave a bad situation to make a better life for themselves in a new land. They found a happy community of like-minded immigrants and thrived despite a language barrier, social stigma against immigrants, economic hardship during the Great Depression, and anxiety from two world wars. They gave their American-born children the tools they needed to succeed in life. They could be proud of what they had achieved. This week I am supposed to be writing the biographical sketch of my four Finnish great-great grandparents. Yet like many genealogists I know, I cannot resist doing that one little bit more of research. Consequently, this week I have not written one word about these ancestors, but I have done more research on them. In the Finnish records I located and documented a birth family for my great-great grandfather Anders Abelson Mattila. The large gap between the births of Anna and Johannes suggests to me that I am missing some children. Did the family live and register births in another parish for a while? Was there a string of miscarriages and stillbirths? Did Abel and Greta live apart for some reason? I would love to dive into these questions, but I really, really need to get started with my writing so I can send it out for Christmas. As a wise genealogist told me once, at some point you just need to get busy with the story and tell yourself, “NO MORE RESEARCH.” For me the time has arrived for me to write. Now. Over the years I have spent a great deal of time digging into my roots in what my family referred to as the “old country”—Finland and Norway. As I researched the lives of these ancestors, I became curious about how they lived and what they did for entertainment. Maybe they engaged in artistic pursuits. My curiosity led me to learn a little about Finnish and Norwegian folk art forms. Eventually I felt the urge to try these art forms myself. At some point I acquired a Finnish kantele, a plucked string instrument that resembles a zither. I still have not found the time to learn to play it. I had more success when I discovered Norwegian Hardanger embroidery, a counted and drawn type of whitework worked on even weave fabric. I already had learned some basic embroidery skills from my mother, and I found it enjoyable. As an adult, I took a class on Hardanger embroidery, and I finished my first piece. Then I did another one, and yet another until I found myself stitching an entire window valance. It took me two years to complete, and it hangs in my office today. 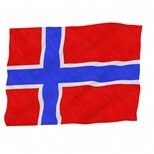 When my husband/tech advisor and I joined our local Sons of Norway lodge (http://www.fjelldalen.com/) earlier this year, we learned that they place a great emphasis on learning Norwegian cultural skills. One is genealogy and another is Hardanger embroidery. Right up my alley! A new friend of mine in the Lodge has created many beautiful Hardanger pieces. She wins first or second place every time she enters her stitchery in a Sons of Norway (http://www.sofn.com/home/index.jsp) competition. I am thrilled she has offered to coach me in earning my Hardanger profiency pins from the organization. As I work through the skills hierarchy, perhaps I too can create something good enough to enter in competition. I hope I am continuing a family tradition. My Norwegian great-grandmother Sofie Bentsen purportedly was adept at Hardanger. Although I never met her, I can picture her now as she stitched away in a little fishing village on a Norwegian fjord. I hope she is proud that I am trying to preserve this beautiful art form.